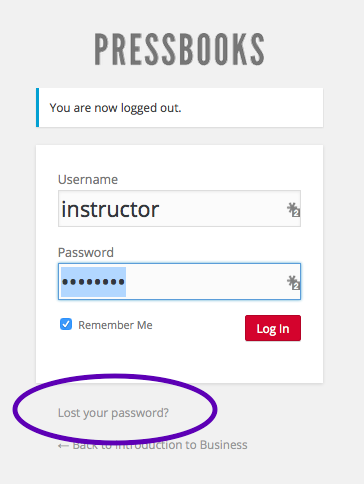 If you forget your Lumen password to log into your course, the ONLY effective way to request a new one at this time is to email support@lumenlearning.com. You may see a “Lost your password?” option on the Lumen log-in screen, but currently, that function is not connected with the right email database, and so the reset function offered there does not work right now. Email Lumen Support as above to recover your password.